Considering the increasing cost of healthcare, and the trend of growing drug costs, any investment in new technology by a hospital or health system is understandably scrutinized to show a positive return. The hospital pharmacy in particular is under pressure to provide the optimum level of patient care, while juggling the rise in drug costs and controlling their budget. The effort to manage these disparate challenges is often what leads pharmacy directors to implement hospital pharmacy radio frequency identification (RFID) automation for medication management. The resulting improvements in inventory optimization, staff efficiency and error reduction can be clearly quantified to demonstrate the positive return on investment. In addition to the growth in drug costs, manual medication inventory management and inconsistent processes in the hospital pharmacy can further contribute to increased costs. Manually managing stock-outs, drug shortages, expired and recalled medications is not only time-consuming, but can also pose a threat to patient safety. The challenge for pharmacy is to implement a solution that meets varied critical demands, while aligning with the larger goals of the facility and demonstrating a positive return on investment. “Pharmacies can control a number of factors within the pharmacy inventory management and pharmacy revenue cycles that can support better outcomes for patients and enhance the bottom line for facilities” according to the white paper “Evaluating Hospital Pharmacy Inventory Management and Revenue Cycle Processes” by Deloitte and the Association of Healthcare Internal Auditors. We have seen this with our Intelliguard® RFID Solutions customers. Pharmacy leaders have been instrumental in implementing automated medication management solutions that protect patients while enabling better cost control measures. When working with pharmacy leaders, we spend a significant amount of time getting to know their unique operations to develop a customized return on investment that is based on their detailed requirements. The quantifiable benefits of RFID automation for hospital pharmacy medication management take into account all investment in equipment, inventory and human resources plus the benefits generated in inventory optimization, staff productivity, cost avoidance and revenue impact. RFID medication management systems track detailed drug-level usage and expiry dates. These usage analytics are used by the pharmacy to reduce PAR levels, saving unnecessary inventory holding costs and reducing expiry waste. In one example, a hospital working with the Intelliguard®Controlled Temperature Inventory Management System reduced daily inventory spend by over 17% and cut daily inventory quantities by nearly 11%. As stated in the Deloitte white paper, “Pharmacy management systems, which provide real-time inventory quantities, can assist in maintaining the balance between stocking appropriate quantities to satisfy patient requirements and minimizing excess inventory.” In addition, automation solutions such as the Intelliguard® Kit and Tray Management System provide ongoing soon-to-expire alerts, which allow the pharmacy to effectively rotate and use medications prior to expiration, reducing waste. Time saved as a result of RFID automation is actually time returned to the pharmacist and pharmacy staff for higher value activities. The same team members who were spending time manually counting and individually scanning medications are now using those hours saved to focus on patient care, providing enhanced care without the need to hire additional staff. Although the cost savings quantified in labor time returned and inventory optimization are the primary indicators we use when calculating a return on investment, avoidance of error-associated adverse drug events achieves obvious quality and safety benefits, while also providing economic benefit through cost avoidance. 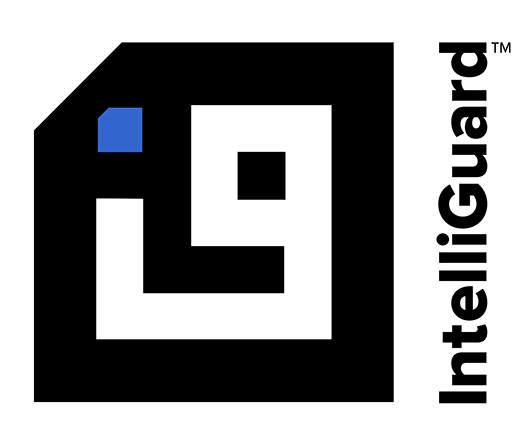 Intelliguard® RFID Solutions has conducted numerous Quality Studies at health and hospital systems of various sizes. Our studies have confirmed that using RFID automation, errors are eliminated, while manual replenishment processes result in 1 in 3 to 5 trays leaving a pharmacy with 1 or more errors. Human beings have common failure modes and RFID healthcare technology is proven to reduce the occurrence of human errors. Pharmacy leaders are often overloaded in dealing with numerous complex challenges facing their departments and facilities. Any tool that can improve operations and increase safety while also controlling costs is a welcome addition. But in today’s challenging climate, new technology investments require detailed analysis and proof of a positive return. If you are interested in exploring the return on investment that hospital pharmacy automation can offer your facility, please contact us. We would be happy to discuss and analyze your unique requirements and prepare your customized ROI.